In this post we would like to introduce the use of our recently introduced advanced feature, Bands or BittsBands, on a concrete example. 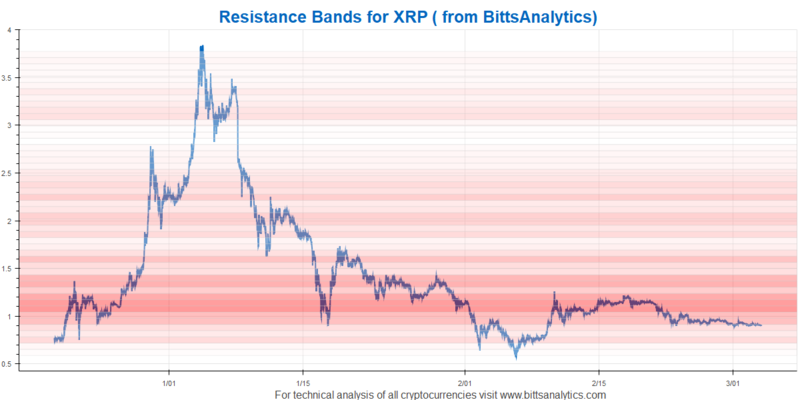 We are using deep learning on vast sets of different data to assess where could be possible price bands of resistance for cryptocurrencies, see e.g. 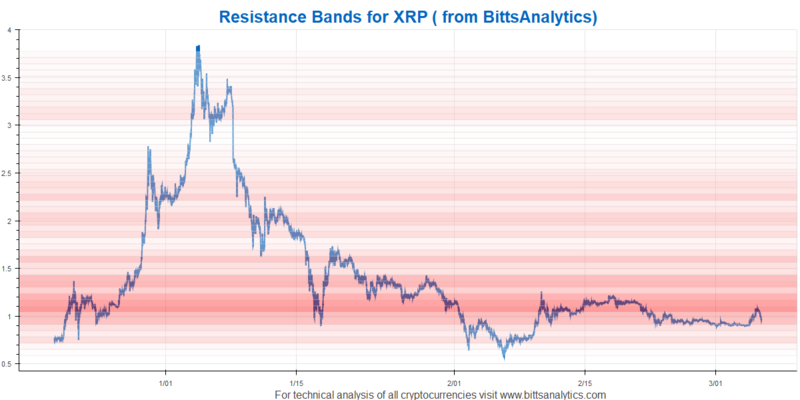 bands for Ripple below. The more red the particular band is, the higher is the probability that the price will rebound from it when falling towards the band or that it will fall, “repelled” by the band when increasing and encountering the band from below. If the band is particularly weak, i.e. almost white, then there is a higher probability of price rapidly moving through such price band. Of course not every price movement will follow this pattern as often there are other drivers, such as a very positive news, where the price can rise or fall through such bands. But it can often work surprisingly well. or see our recent tweet about Ethereum Classic below where we analysed that due to weak resistance bands below 32 USD it can fall rapidly below 30 USD and this is indeed what happened, it is now around 25 USD.